Manufactured to the highest standards, the accessories range from Vitra come in various modern designs that will co-ordinate with any of the Vitra sanitary ware and brassware ranges. 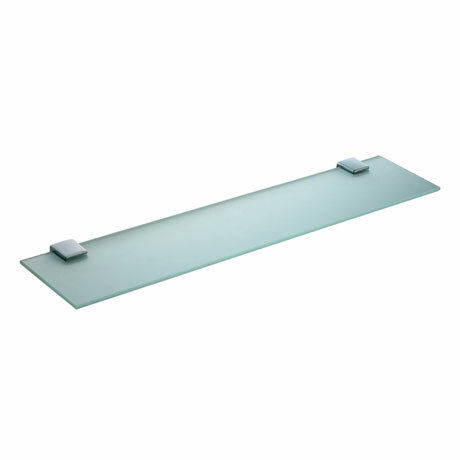 This stylish glass shelf from the Slope range provides a practical storage solution for toiletries and is manufactured from the highest grade materials. The shelf is made from frosted security glass which makes this shelf robust and durable and is held by polished chrome brackets.